Do your friends encourage your personal and professional growth? Do you feel comfortable sharing your latest endeavors with them, even if they may be considered “on the fringe”? I was working at an investment banking firm when I decided to begin a comprehensive hypnosis training program. As you might imagine, I was the only hypnotist-in-training under the roof! I took notice of who encouraged me, asked questions, and were inspired by my studies. I also took notice of those who belittled me and my ambitions. I think Amy is onto something here. Have you ever found yourself just feeling lighter in someone’s presence? Has their success and passion actually lifted YOU up and instilled hope and joy in your heart? Now we’re talkin’! That’s the kind of friendship that can go places….exciting places, pie in the sky, doing cartwheels on the beach kinda places. Sign me up for that. Fittingly, Winchell was a 20th century radio gossip commentator who shared embarrassing celebrity stories that certainly lost him many friendships. Although I wouldn’t want to have counted him as my friend, I bet he learned a thing or two about true friendship! Who sticks around when you make mistakes? Who will support you and have your back through the thick and thin? How can you prosper if your closest confidants don’t share their honest opinions with you? Good old fashioned honest feedback may be the best thing a true friend can give you on every level. I always had one girlfriend that I would love to take clothes shopping with me. I knew if something didn’t look good, because she’d tell me! What about your latest business proposal? Your new website? Who is going to tell you like it is? Appreciate the raw, honest truth from true friends that want to see you prosper for real. Sometimes in life the only way forward is the way out. Perhaps this means moving away to another city, state, or country. A true friend is one that supports your path and cheers you on. They do not hold you back or ask you to stay. They know that the connection is there regardless of distance and time. My personal journey has found me in over 50 countries and on endless adventures around the globe. There have been many partings, but my true friendships didn’t end. 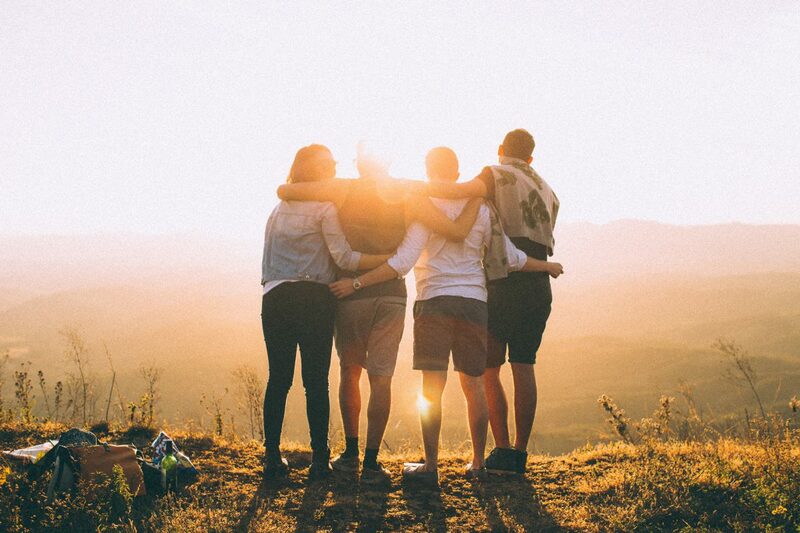 These are only a handful of insights that can help us surround ourselves with friendships that we crave for a fulfilling life. Remember that birds of a feather truly do flock together, and honour yourself by creating a tribe you can be proud of!